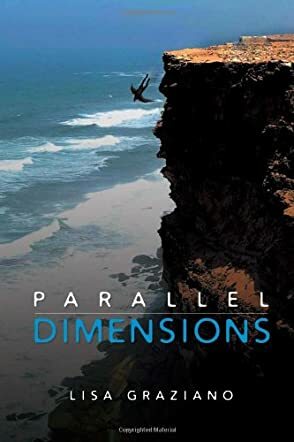 Parallel Dimensions by Lisa Graziano is a fiction urban fantasy novel that would appeal most to a diverse audience of mature young adults and adults who enjoy reading about the paranormal, reincarnation, and psychics, and who do not mind some sexual content. Joey Smith died, but that was not the end of his story as he came to be reincarnated in the form of a raven with his memories of his human life intact. Joey finds himself working to not only discover why he died, but to protect his three-year-old son Jordan-Tyler at the same time. Yet to succeed, Joey will need the help of both his son and his girlfriend’s sister Theresa. Will Joey succeed or will his raven body prove too much of a challenge to overcome? Parallel Dimensions by Lisa Graziano is a very well written novel with a unique story line that sets it apart from all other paranormal novels. I liked how Lisa Graziano focused on Joey, his once girlfriend Angie Cartwright, Theresa, and Jordan-Tyler. I particularly liked the sections that focused directly on these characters because these were flashbacks and helped me to piece together how the characters came to know each other. I did find it a bit difficult at first to understand the time skips, and I really wish the author had included a subtitle saying something like “three years ago” to make it easier to keep track of when the events were occurring in relation to each other. That aside, I truly enjoyed reading this novel and I loved the way the plot came together like a puzzle!